A study by a public interest law firm is critical of the state Office of Information Practices’ handling of public records and open meeting challenges. The state Office of Information Practices favors government agencies in disputes and takes too long to resolve complaints over access to public records and meetings, according to a new report by The Civil Beat Law Center for the Public Interest. The law center’s executive director, Brian Black, examined OIP administrations over the last 10 years and found the average time to decision for major matters has almost quintupled. He also found the number of matters decided per year has dropped to its lowest level since the creation of the office in 1988, leading to an increase in its backlog of pending matters, according to the center’s 13-page report, “Breaking Down Hawaii’s Broken System for Resolving Public Access Disputes,” published Tuesday. Office of Information Practices Director Cheryl Kakazu Park rejected the findings in the law center’s report that highlight her agency’s slowness in resolving public disputes. 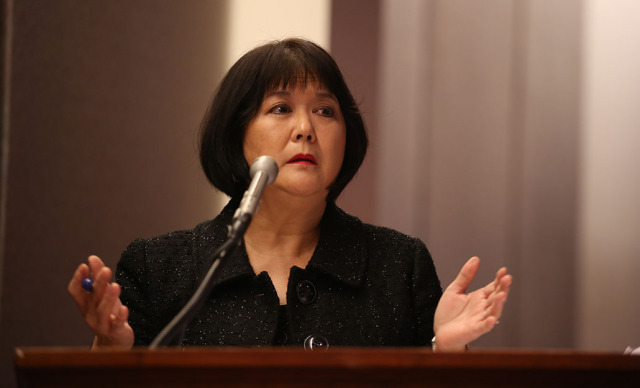 OIP Director Cheryl Kakazu Park fired back in an 18-page response Wednesday, complete with footnotes and charts, rejecting nearly all of the law center’s findings. Among the only thing she agreed with was the law center’s recommendation that OIP attorneys be paid more so the office can attract and retain quality workers. 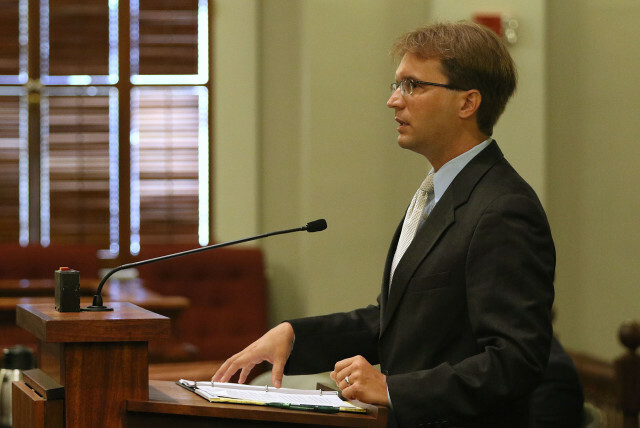 They currently earn about 24 percent less than other government attorneys. “OIP disagrees with most of the remainder of the Report’s conclusions and recommendations because they are based on inaccurate assumptions, metrics that excluded a number of relevant factors, its writer’s particular perspective as an advocate and legal advisor for a media outlet, and a lack of understanding of how and why OIP has actually conducted its business over time,” Park said in the written response. The law center, created in 2013, represents — at no charge — journalists, nonprofits and other citizens who are having trouble with access to public records or open meetings. 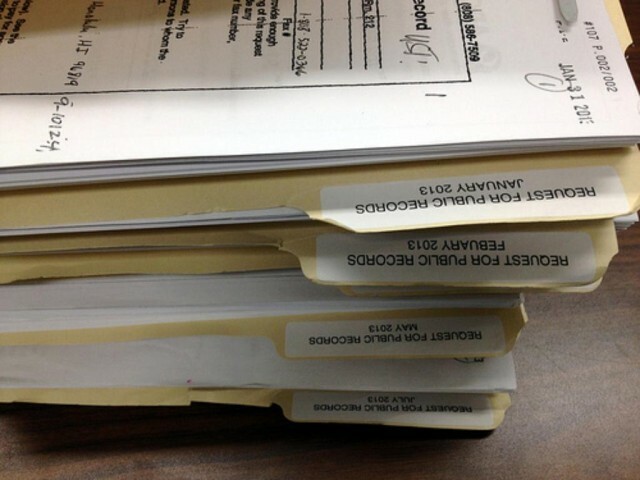 Civil Beat has been one of its main clients, seeking legal help accessing public records pertaining to police misconduct, financial disclosure statements and other matters. Brian Black, head of The Civil Beat Law Center for the Public Interest, studied possible factors contributing to the delays in OIP’s resolution of public access disputes. Black was careful to point out that his report is not an attack against Park. The feeling was mutual, as Park took time to note her response was not personal. “Although these Findings identify current shortcomings at OIP, this report is not a criticism of the current OIP director,” Black wrote in the report. But the law center had no shortage of examples to highlight the office’s shortcomings. Under Park’s tenure, the average number of days to make a decision on a substantive matter is 464, far more than the three directors who preceded her, according to the report. Cathy Takase, director from late 2009 until Park took over in April 2011, took on average 90 days to issue a decision. Paul Tsukiyama and Les Kondo, the two directors before Takase, took on average 96 and 89 days, respectively. The Office of Information Practices is tasked with enforcing Hawaii’s open records and public meetings laws. Park said the law center’s methodology and assumptions were flawed in part because it did not account for the difference in term lengths across directors. “Essentially, the Report’s ‘Average Days to Decision by Director’ metric merely proves that it takes longer to get to newly filed cases when older, more difficult cases have priority under a ‘first in, first out’ policy,” Park said in OIP’s response. OIP’s oldest unresolved dispute goes back to September 2013, which is an improvement over past years. In 2011, the oldest case was 12 years old. Park anticipates that her office’s backlog will substantially increase this year though due to a more than 60 percent increase in new formal cases filed to date. From July 2016 through January 2017, OIP has opened 185 new formal cases, compared to only 113 new cases over the same months in the last fiscal year. The law center also wants OIP to stop telling government agencies to ignore the law. Specifically, the center faults the office for telling agencies to ignore the statutory duty to balance the public interest in disclosure of records against a significant privacy interest. The report says OIP advised government lawyers at a March training session to deny all requests that implicate privacy interests, even if there’s a public interest, unless there was a prior OIP opinion or court case on the matter. Black has seen a noticeable increase in aggressive agency denials of access on privacy grounds. “Each of these unjustified denials means a delay for years under the OIP backlog, if the requester even appeals in the first place knowing the delay involved,” he said in the report. Park was not surprised by Black’s feelings on this issue. She describes him as someone who represents Civil Beat’s desire for greater government transparency. 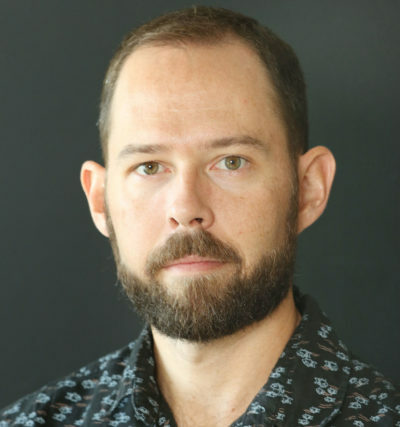 The Civil Beat Law Center for the Public Interest is an independent nonprofit organization created with funding from Pierre Omidyar, who is also CEO and publisher of Civil Beat.org. Read the law center’s report and OIP’s complete response below.